Accidents happen. Hey, no big deal. Sometimes kids don’t wake up when they need to go to the bathroom. It’s part of life. With Oops! Sheet, we’ve got your mattress covered. Literally. As a mom I have been very impressed with the Oops! Sheet. Since I like to have the mattresses protected from any accidents I have been using a plastic sheet up until now. Thank Goodness for Oops! 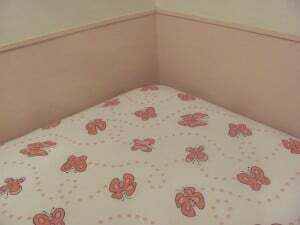 Sheet, no more uncomfortable crinkly sounding bed to for the girls to sleep in! The Oops! Sheet fits nicely on the bed because of the 4 way stretch. I think the best feature of the Oops! Sheet is that once it is under your regular bed sheet you would never know it is there. I also like the article section of the Oops! Sheet website. I found the Kids & Bedwetting Fast Facts quite informative. I was unaware that “Bedwetting is the most common childhood urologic complaint and one of the most common pediatric health issues“. If you have a child who wets the bed this next article is for you. Bedwetting and Your Child’s Self Esteem is an EXCELLENT article with many great tips. My favorite one being “Avoid techniques that attempt to reward or punish a child for dry or wet nights“. I would consider the Oops! Sheet a must have item for every household. I give it 2 thumbs up! 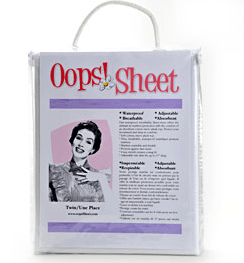 Try Oops!Sheet for an entire 30 Days, and if you are not completely satisfied, simply return your sheets for a full refund of the purchase price (less S+H). Oops! Sheet CARES! They also donates 1% of all sales to Sunshine Dreams for Kids! Visit Oops! Sheet and tell me something you learned (you may include something from the article section). Like Oops! Sheet on Facebook. Blog about this giveaway and leave me the link. Never miss a post, Subscribe. Disclosure: Mommy Moment was provided with product from Oops! Sheet in order to give our own personal opinions on it. The opinions given are that of the Mommy Moment reviewer and may differ from others but were not influenced by the company or the free product provided. I thought waterproof layer plus sheet plus waterproof layer plus sheet was a good idea. I visited the Oops website and learned that bedwetting is one of the most common pediatric health issues. The Oops! 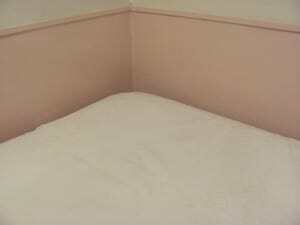 Sheet is a protective fitted sheet made of cotton. It is waterproof and breathable, simple to use and machine washable! I learned that most girls are dry by age 6. My girls are mostly dry at night (they are 3 and 5) which is good because I was worried since their dad had to take steroids at age 9 to stop bedwetting and I knew it was inhertitable. But we still have occasional wetting if they drink too much so I’d like to win! I learned that Oops! 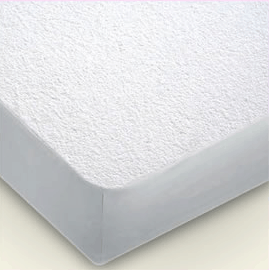 Sheets are Waterproof, breathable and Machine washable. I Like Oops! Sheet on Facebook. I am sure that my baby will be bedwetting once the diapers come off, so this would come in handy and seems amazing. I learned that:Bedwetting, medically referred to as nocturnal enuresis…i didnt know much about it! I learned that adult bed-wetting rates are between 0.5% to 2.3%! I never knew. It’s good that the company knows this and can provide queen-sized covers too. I follow Mommy Moment through Google Friend Connect. I like Mommy Moment on Facebook. 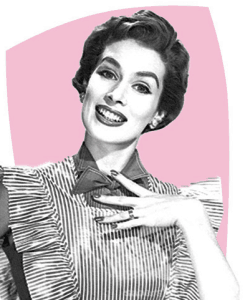 I am a Mommy Moment email subscriber. I learned this sheet is waterproof and breathable – how can that be? I read the article about Bedwetting and self esteem. One of the tips was “Troubleshoot potential obstacles in the night” I liked the idea of having a night light in the hall and the bathroom. This makes sense because a lot of kids are scared of the dark and this might hinder them from going to the bathroom in the night. learned that bedwetting is one of the most common pediatric health issues. nocturnal enuresis – I have never heard this term before! “Bedwetting is the most common childhood urologic complaint and one of the most common pediatric health issues“. Your bladder is like a water balloon. When the balloon is full of pee and ready to be emptied, it sends a message to your brain telling you to go to the bathroom. At that point, your brain has to make an important decision: either to tell the muscles to hold your bladder closed until morning or to wake you up so that you can get out of bed and go to the bathroom in the middle of the night. Sometimes the message doesn’t get delivered and that’s how your bed gets wet. Most girls can stay dry by age six and most boys stay dry by age seven. By ten years old, 95% of children are dry at night. I learned that bedwetting is frequently associated with a family history of the condition. I learned that 1% of all sales are donated to Sunshine Dreams for Kids. Subscribe to Mommy Moment by reader. I learned that Nocturnal enuresis is considered primary (PNE) when a child has not yet had a prolonged period of being dry. I learned about layering sheets. What a novel concept. That is going to be so much help with my daughters as all the girls in my family tree seem to have a harder than normal time with bedwetting. I learned that bedwetting children and adults can suffer emotional stress or psychological injury if they feel shamed by the condition. daily tweet, thanks so much and happy Mom’s Day!! I learned that bedwetting is medically referred to as nocturnal enuresis. Thank you for the chance to win! Respect your child’s privacy when it comes to the bedwetting issue. Try to avoid discussing wet laundry and related issues in front of siblings and other relatives; and insist that other family members treat the bedwetting issue with similar sensitivity and discretion. They have a great article on how to talk to your child and reassure them that bedwetting is nothing to be ashamed of. I love the analogy of the water balloon. I learned- Only a small percentage (5% to 10%) of bedwetting cases are caused by specific medical situations. I learned that they donate 1% of all sales to Sunshine Dreams for Kids. i learned the sheets are waterproof, breathable, and machine washable.